Today's breakfast looked boring on the plate but it was oh so tasty! 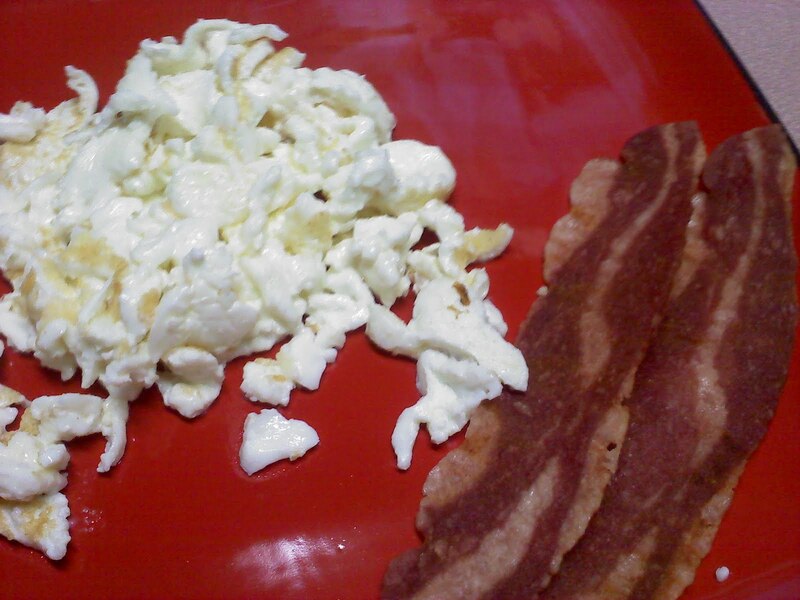 I scrambled 3 egg whites with a pinch of salt and a laughing cow light wedge cheese. I had a side of turkey bacon with it. Great way to start the day!